"Abundant evidence was given as to the intimate relation between alcohol and diseases. "ALCOHOL RENDERS A MAN LIABLE TO YIELD TO TEMPTATIONS WHICH HE MIGHT OTHERWISE RESIST, AND AGGRAVATES THE DISEASE BY DIMINISHING THE RESISTANCE OF THE INDIVIDUAL. 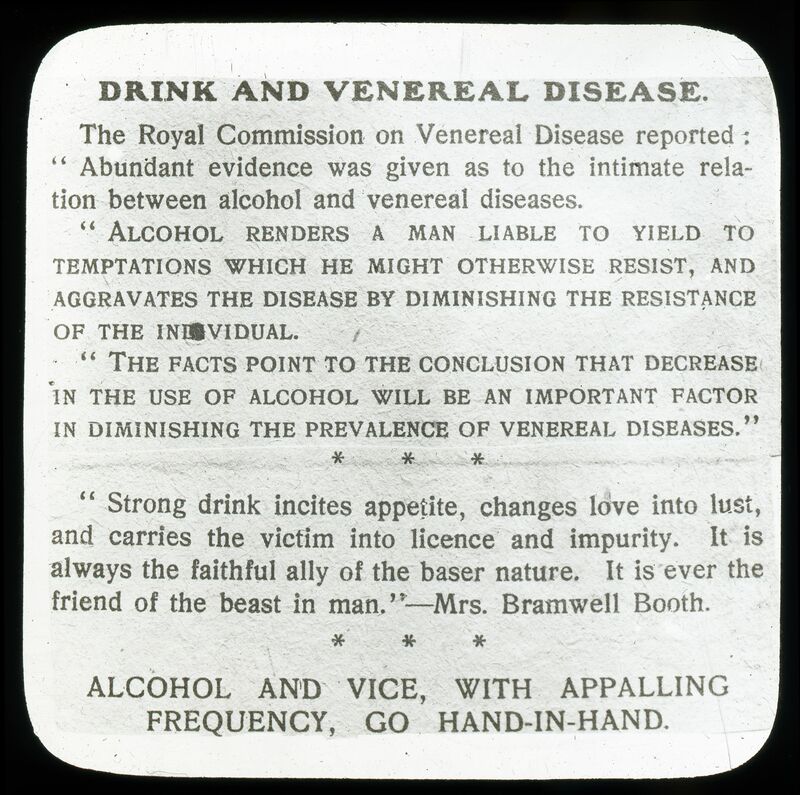 "THE FACTS POINT TO THE CONCLUSION THAT DECREASE IN THE USE OF ALCOHOL WILL BE AN IMPORTANT FACTOR IN DIMINISHING THE PREVALENCE OF VENERAL DISEASES." "Strong drink incites appetite, changes love into lust, and carries the victim into licence and impurity. It is always the faithful ally of the baser nature. It is ever the friend of the beast in man. "- Mrs. Bramwell Booth. 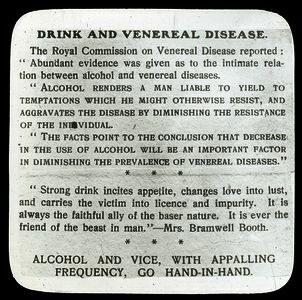 ALCOHOL AND VICE, WITH APPALLING FREQUENCY, GO HAND-IN-HAND.